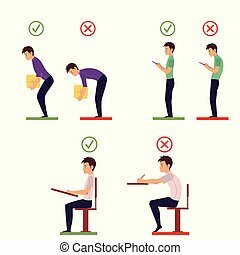 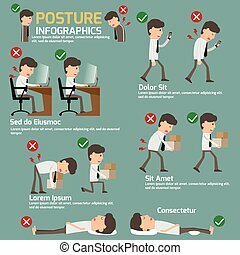 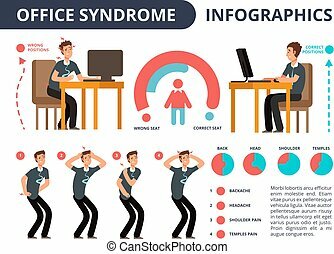 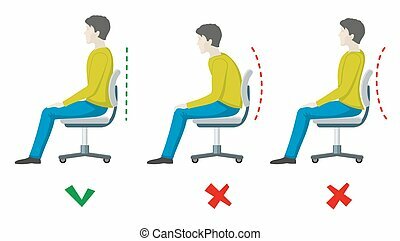 Correct and incorrect postures infographics. 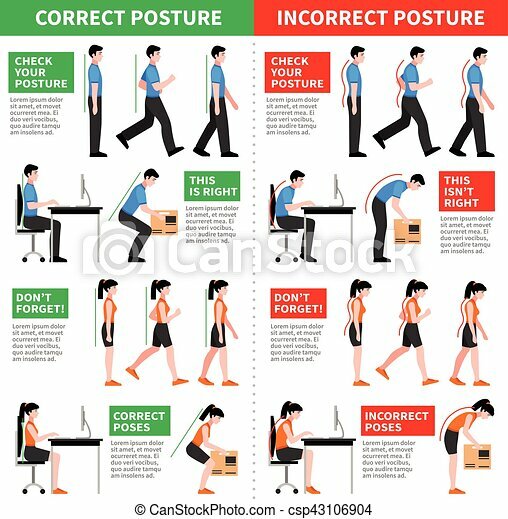 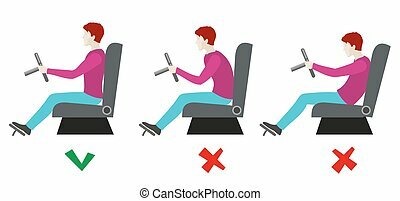 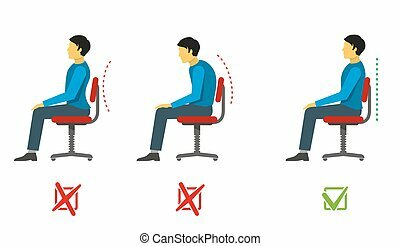 Flat infographics with men and women demonstrating correct and incorrect postures while walking and sitting vector illustration. 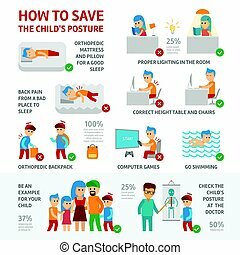 Children s posture infographic elements about kids health. 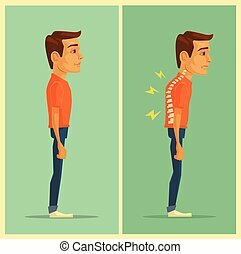 The doctor treats a boy has scoliosis. 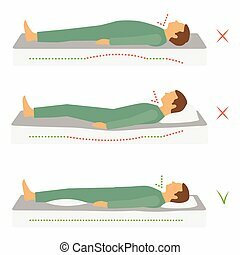 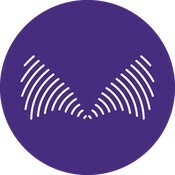 Sleep on orthopedic mattress - stock vector. 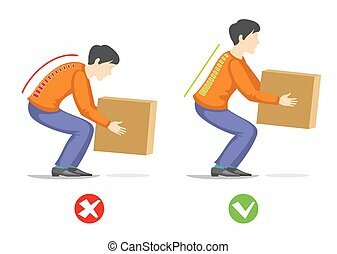 Correct and incorrect spine.